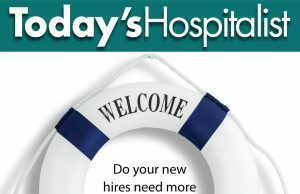 Established in 2003, Today’s Hospitalist is the first independent magazine to report on the fastest growing medical specialty in the U.S. Today’s Hospitalist now goes out monthly to 30,000-plus hospitalists around the country, focusing on clinical controversies, business trends, practice management tips and career strategies. Edward Doyle is Editor and Publisher of Today’s Hospitalist and CEO of Roman Press, Inc., the magazine’s parent company. He has served in a number of senior publishing positions, most recently as Editor of the American College of Physicians newsmagazine, ACP Observer. In that role, he worked closely with the professional association that represents hospitalists and closely followed the specialty’s growth before launching Today’s Hospitalist in November of 2003. Phyllis Maguire joined Today’s Hospitalist in 2006 after reporting on health care for both trade and consumer publications for more than 10 years. In her previous position as Editor of ACP Observer, a monthly news magazine from the American College of Physicians, she followed the rapid development of hospital medicine and reported extensively on both inpatient clinical and business trends. Before joining Today’s Hospitalist, Kristin Rubia sold recruitment advertising for weekly nursing magazines and launched her own business as a marketing consultant. Ashley Centola has spent ten years designing policies and programs for large employers. She is also a highly valued human resources consultant at Children’s Hospital of Philadelphia. She is serving as Vice President of Operations for Hospitalist Conferences USA.